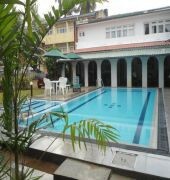 The Ranveli Beach Resort is located near Mount Lavinia Beach, approximately 8 km from the center of Colombo. 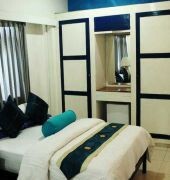 Accommodations are equipped with fans or air-conditioning, cable TV, tea and coffee making facilities, direct dial phone, internet access and en suite bathroom with shower. 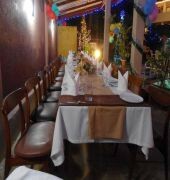 The restaurant onsite offers seafood specialties as well as traditional local and international dishes. 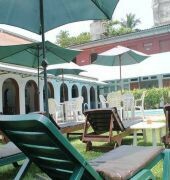 In addition, guests can relax and enjoy a cup of tea at the large landscaped garden or at the poolside area. Other facilities and services include an outdoor pool, 24-hour reception, safety locker and free parking. Sightseeing tours and transfers to and from the airport can also be arranged on request. The National Zoological Garden, National Museum and the Bellanvila Buddhist Temple are some of the tourist destinations in the area. 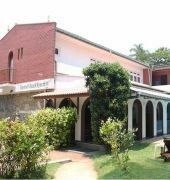 Bandaranaike International Airport is approximately 46 km from the property.